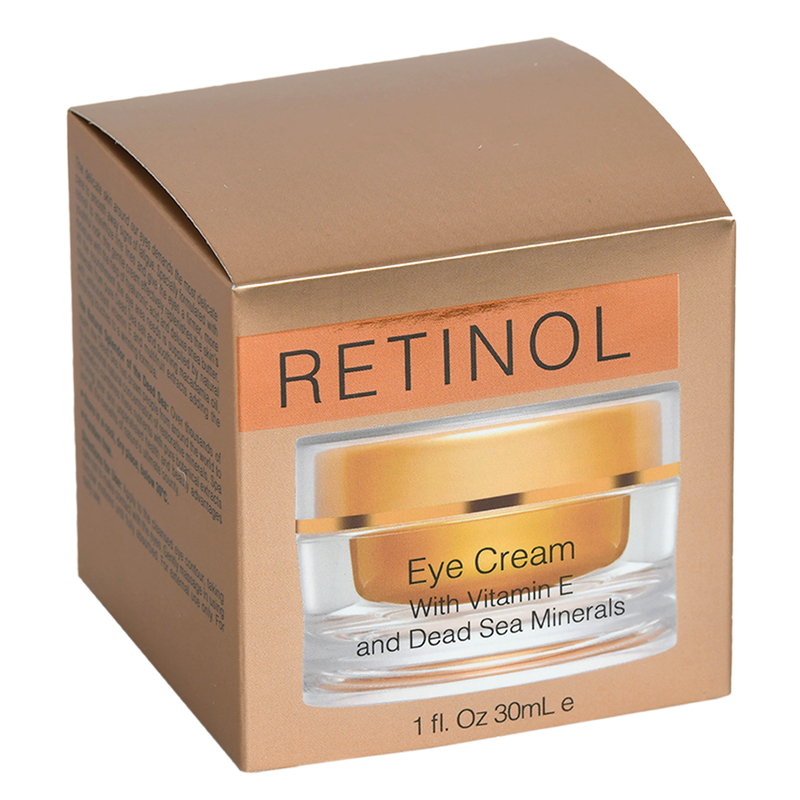 njoy a wonderful Moisturizing Eye Cream with Vitamin E and Dead Sea Minerals if you are going for a smoother, firmer healthier look. 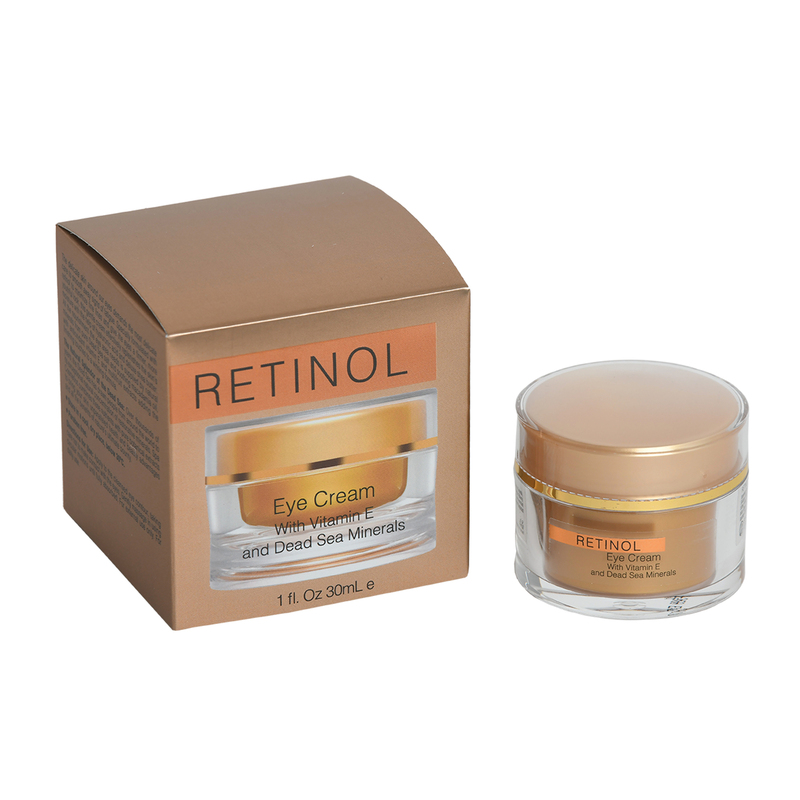 This Spa Retinol cream is a delight to the senses and the skin. 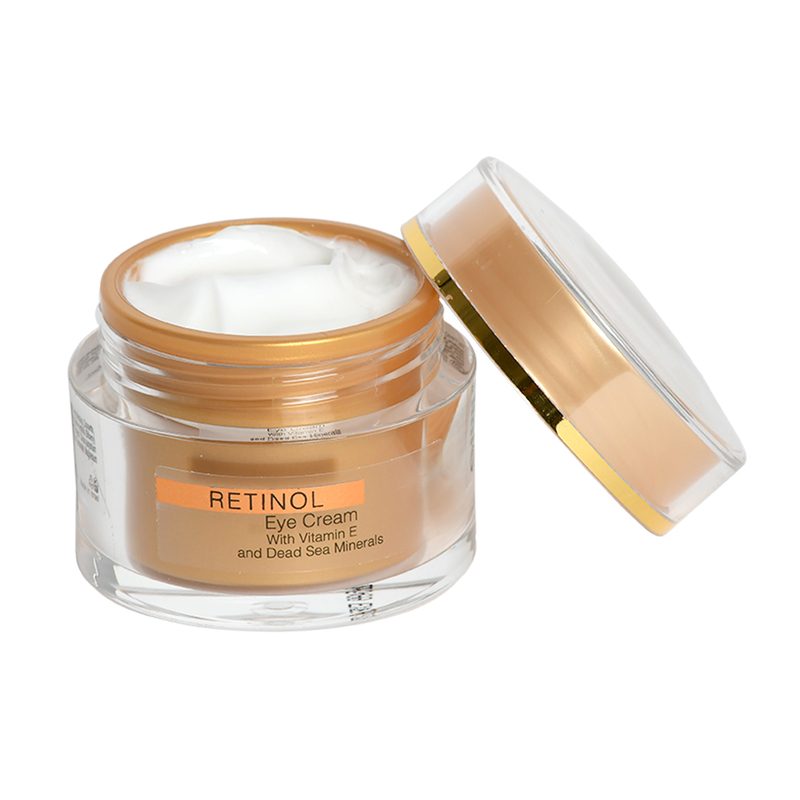 A truly moisturizing eye cream, this Spa Retinol Dead Sea Cosmetics product gives you that fresh, smooth looking natural eye contour that looks so good on your face. Light, gentle on the eyes, and silky, this cream delivers the beneﬁts and natural wonders of the Dead Sea minerals, along with the Retinol to firm the skin and together give it that youthful, healthy look and feel. Take years off your eyes with the gentle care of this cosmetic, and give yourself a wonderful spa-like treatment with its use. A paraben-free product, it is gently massaged into the skin around the eyes until absorbed and gives the skin deep hydration, aided by shea butter and hyaluronic acid. This cosmetic is a wonderful choice for you or as a gift. Ingredients: Aqua/Water, Caprylic/Capric triglycerides, Glycerin, Glyceryl Stearate, Cetyl Alcohol, Cyclomethicone, Sorbitan Tristearate, PEG-40 Stearate, Benzyl Alcohol, Ozocerite, Squalane, Sodium Lactate, Sea Salt (Dead Sea Salt), Macadamia Ternifolia Seed Oil, Hyaluronic acid, Butyrospermum Parkii (Shea Butter) Fruit, Vaccinium myrtillus (Bilberry) Extract, Retinol, Tocopheryl Acetate (Vitamin E), Saccharum officinarum (Sugar Cane) Extract, Fragrance, Dimethiconol, Citrus medica limonum (Lemon) Extract , Citrus aurantium dulcis (Orange) Fruit Extract, Acer saccharum (Sugar Maple) Extract, Benzoic acid, Xylitylglucoside, Xylitol, Dehydroacetic acid, Anhydroxylitol, Zinc Gluconate, Magnesium Aspartate, Copper Gluconate, Calcium Gluconat.